These are the authentic YETI 30 OZ. 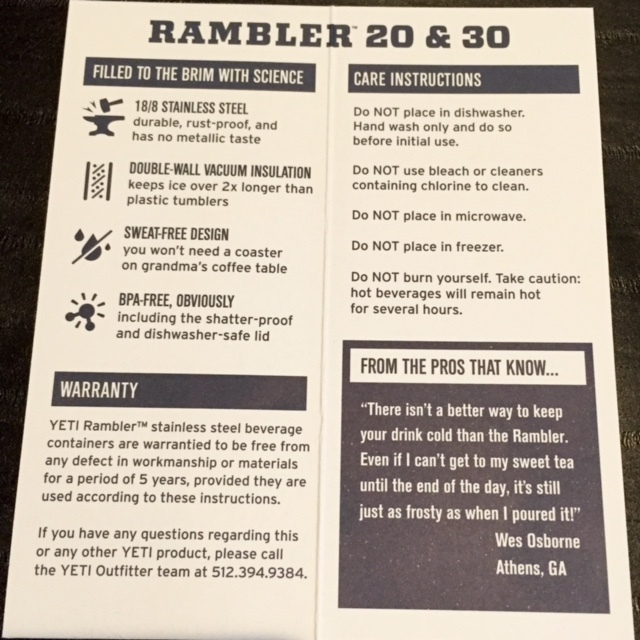 “Rambler” tumblers that retail in all stores for $39.99 or more. This one is logo’ed to show your support for the foundation, and we thank you!! All YETI cups are HAND WASH ONLY!! See additional product care info in the product gallery. SOLD OUT!!!!!!!!! This is a Foundation logo’ed 30 OZ. 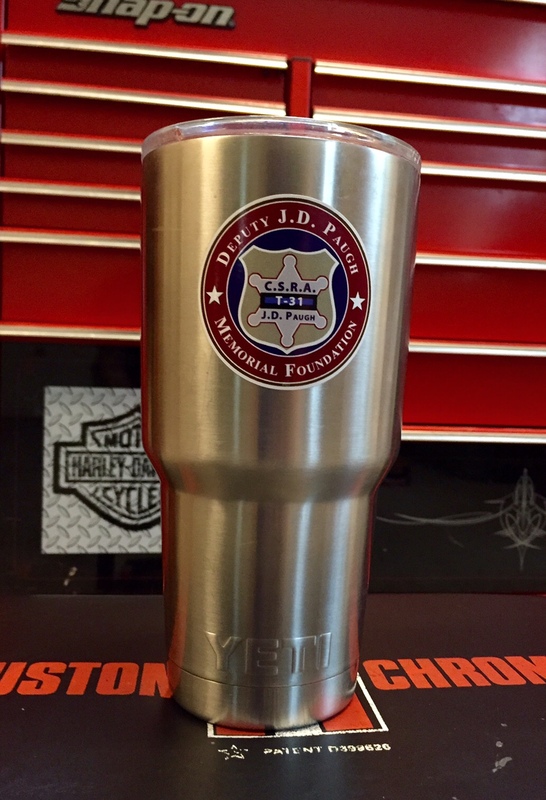 YETI “Rambler” stainless steel vacuum sealed cup/tumbler. Great for keeping beverages hot or cold for a LONG time. 5 year warranty SOLD OUT!!!!!!! !